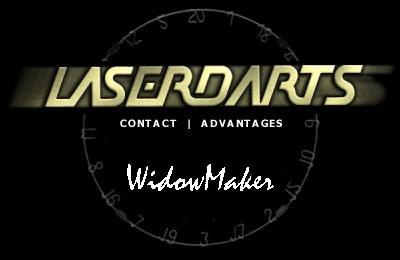 Why buy separate darts for soft & steel tip??? Go from Soft Tip Moveable to Soft Tip Fixed, Steel Tip Moveable, or Steel Tip Fixed simply by replacing the point in these 90% tungsten beauties. No weight redistribution. No getting used to a different weight when playing between soft and steel tip. Weights: 18, 22 and 24 gram. 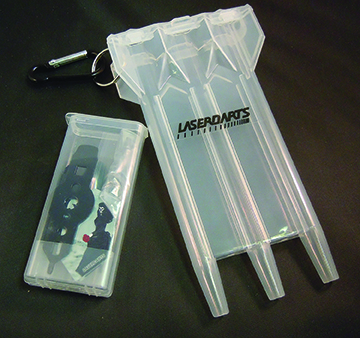 Comes with Spring-loaded Moveable soft tip points, Moveable Fulcrum steel tip points, Standard soft tip points, DartMate tool, Laserdart L-Style Champagne flights, spare shafts, Laserdart flights, Laserdart Drop-sleeve case and Accessories box. Steel tip conversion points can be purchased separately for a fixed steel tip dart.